The title and photo of Coach Dawn’s Instagram post caught my eye. Why am I too senior for the job? Click. I had to find out how the answer to this question played out. I concluded someone was overqualified for a job or worse yet, that ageism toward an older worker was a factor in being eliminated from the job candidate list. Because I am in the second half of my career, this assumption is top of mind. Dawn addressed this in her first sentence. As she suggests, ageism is discriminatory and should not be tolerated, especially in our enlightened era of diversity focus. As I read further, the story had a twist. She outlined employer concerns, highlighting issues that a job seeker may not realize. Coach Dawn explained some workers apply for roles requiring far less skills than experienced candidate capabilities. Why would a worker seek a job where he is underemployed? This is common behavior, especially when the previous job termination is sudden. Individuals might apply for these lesser roles when it is difficult to find relevant opportunities in their previous industry. However, when a senior-level candidate applies for a junior role, this can lead to misunderstandings and assumptions. I’ve included some of Dawn’s insights along with other employer concerns and considerations. If a team is made up of mostly high potentials, and there is a mismatch of skills required, the problem might cause the loss of current valuable talent to other departments or competitors. Conflict arises when there is duplication of talent, causing employees or managers to be threatened. As a result, this causes worries about job security and available promotions. There’s a very real misunderstanding that someone with more experience than the role requires should get the job. After all they can do so much more. The smaller salary is a challenge, and there is an imbalance between individual capabilities and what the job requires. An underemployed employee might not stay long enough because she will be searching for a better fit. There is an awkward dynamic between much younger boss and older direct report. 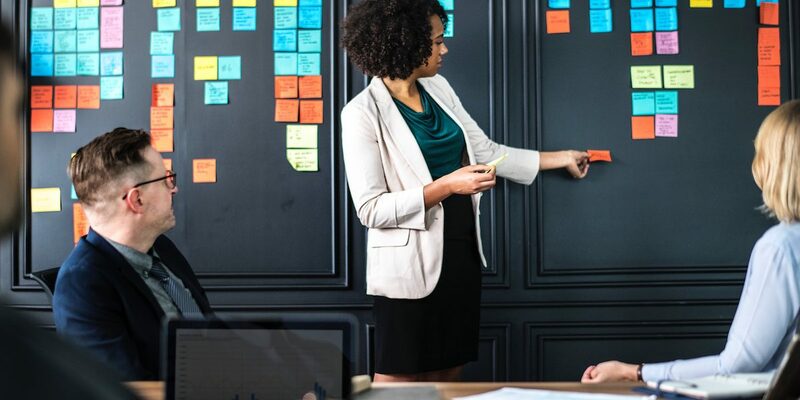 A hiring manager must analyze the demographics, skills, capabilities, and interests of the entire team, considering how the new person will fit. The decision is not as easy as analyzing qualifications personal qualities. Reframe the question to Your advantage. Understanding the reasons behind decisions regarding underemployment, however, does not make it easy for an older worker or experienced job seeker. Yet knowing this information can influence a worker’s job search strategy and mindset. 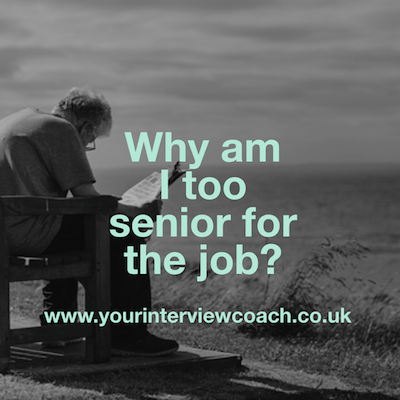 When answering the question above, “why am I too senior for the job?” it’s not productive to make assumptions without knowing all the facts. Now that we’ve outlined the logic behind hiring decisions, what are overqualified or older workers supposed to do? Especially when higher-level jobs are not available in a particular industry? Many coaches and strategists suggest staying away from underemployed roles altogether. Yet, there may be a need for immediate income without regard for finding the best fit. Marc Miller, author of three career books, specializes in helping older workers in the second half of life with career pivots. A career pivot is an intentional shift in a new, related direction. He should know. He created six pivots throughout his career. As an older worker, with a long career in technology, he accomplished this by identifying where the need was greatest for his particular skillset. Specialized skills, in an area that fills department or company knowledge and skills gaps overcome objections toward the overqualified candidate. In one of Marc’s podcast segments he interviewed Christine Hopkins-Spidell. She started her career as a paralegal in corporate law and real estate. With a BA in Social Science, she advanced over twenty years to senior roles in financial services organizations in litigation and compliance. An older worker in the second half of her career, Christine wanted to change industries —from finance to healthcare—yet take advantage of her extensive experience in compliance. The dramatic change required additional education, a Doctor of Law and Policy. She attended school part time for a few years while working at an interim job to pay the bills. She stepped away from her senior management roles in one industry into more subordinate roles in a new industry. This was possible because her compliance knowledge eclipsed that of other potential candidates. They viewed her extensive experience as an asset. She was overqualified for a starter role in one area, yet underqualifed in the healthcare industry. It was the perfect equation for both employer and employee. The employer was willing to train Christine in a new industry because her knowledge enabled them to fill a knowledge gap. It was a lot easier to train someone in healthcare than it was to find someone with her unique skills. Much to her surprise, she advanced from a low-level manager to VP of compliance in a short span of time. Mind the Gap. Eliminate the Objection. In summary, it’s possible to use plentiful experience to your advantage if your skillset is missing from the department. You can avoid the list of reasons cited above regarding why someone does not receive the offer. 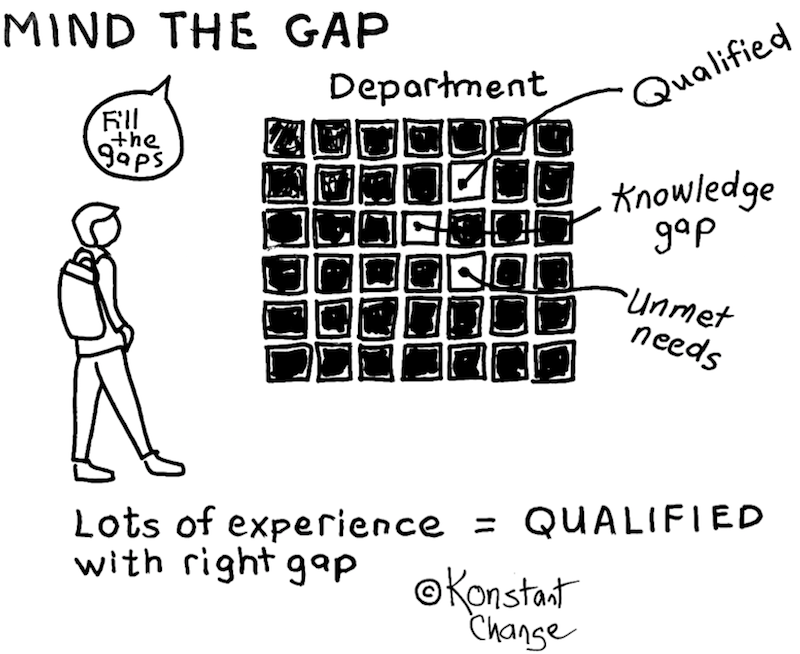 And you can create demand for you and your years of experience by identifying department or company gaps. You can be proud of your qualifications! And regarding the double “O” designation, “overqualified and older,” you might be interested in the following stats. Marc Miller’s focus on helping older workers discover their work in the second half of life is on target. According the the Bureau of Labor Statistics, our workforce is aging. By 2024, 1 in 4 people in the labor force are projected to be age 55 or over. This is up from 1994 when this age group represented only 11.9% of the labor force. Discover agile techniques and strategies for staying relevant throughout your career by reviewing the Career Agility Model. If you want more stories about how people responded to change like Christine Hopkins-Spidell did, you can read Activate Your Agile Career: How Responding to Change Will Inspire Your Life’s Work. Want to know more? If you are interested in the future of work, career development, the workplace, personal branding, workforce trends/ideas, agility, or how to cultivate happy profitable employees, subscribe to Marti’s 52 Ideas. For more details on career agility, check it out here.